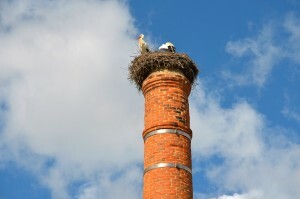 When was the last time you cleaned your chimney? A year ago? A few years ago? Never? 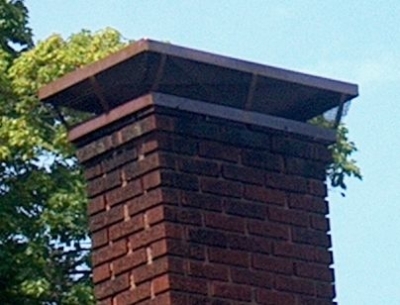 Did you know that creosote can build up on the walls of your chimney over time? 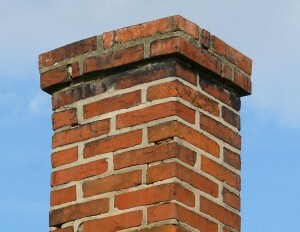 Creosote is the leading cause of residential chimney fires in the U.S. each year, according to the Environmental Protection Agency. Creosote is a foul-smelling, flammable, corrosive substance that’s a byproduct of the wood-burning process. Whenever you burn wood in your fireplace or stove, unburned wood particles, ash and gas vapors are released up the chimney in what’s commonly known as smoke. 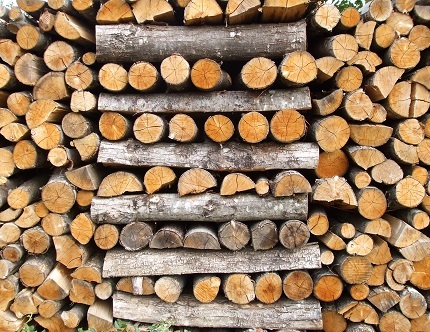 If the wood you’re burning isn’t sufficiently dried, steam can form, mixing with the smoke. As this steam rises up the flue, it cools the chimney, causing the gases in the smoke to condense and form liquid creosote that sticks to the inner chimney walls. Stage 1: Liquid. As the gas vapors cool and condense within the flue, liquid creosote forms. This liquid is black, gooey and tar-like. It can run down the insides of stove pipes and chimney flues, oozing out of any openings. Stage 2: Soot. When dry, well-seasoned wood burns, a black or gray powdery substance called soot forms on the inside flue walls. 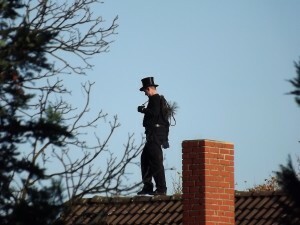 Soot is the least combustible form of creosote and the easiest type for a chimney sweep, like those at T.J.’s Chimney Service, to clean away. Stage 3: Porous and crunchy. This type of creosote appears as hard, glistening black flakes that stick to the inner chimney walls. While this type can be removed, it’s not easily brushed away. Stage 4: Glaze. When liquid creosote condenses rapidly and coats a previous layer of creosote that hasn’t completely dried, it can form a thick layer of gooey tar. Eventually, this glaze hardens into a rock-like substance. As more fires are burned in the stove or fireplace, additional layers of glazed creosote can form. This type of creosote is very difficult to remove; and it’s highly flammable. Over time, all forms of creosote can appear in your chimney system, causing buildup while increasing your risk for a chimney fire. 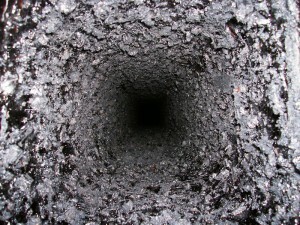 Therefore, it’s important to have your flue system checked and cleaned annually to remove any creosote accumulation. Contact the chimney sweep experts at T.J.’s Chimney Service, located Greenfield, IN, to schedule your chimney inspection and cleaning. 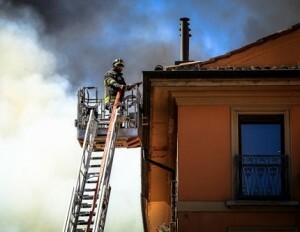 Remember: A clean flue doesn’t catch fire, so safeguard your home today.